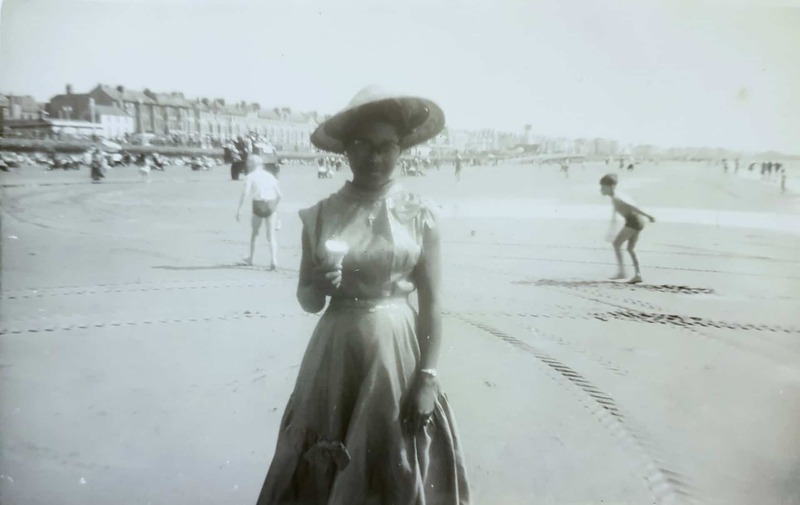 Joy Hansle talks about a few photographs of her mother Herma. 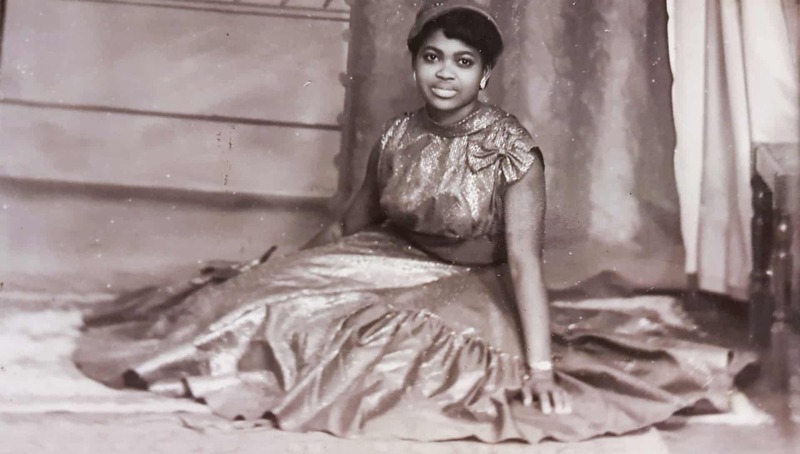 My mom Herma Esther Wheeler was born in 1937 in the parish of Clarendon, Jamaica. She was one of sixteen children, two of whom died young. Herma’s older sister Linda came to England and as she had no children of her own, sent for her favourite younger sister Herma who was just 16 years old. Herma arrived in 1953 and she lived with her sister on the Wolverhampton Road, Oldbury, near the railway bridge. This is a photo shows a work day trip from the Raleigh bike factory in Smethwick to Blackpool about 1953. 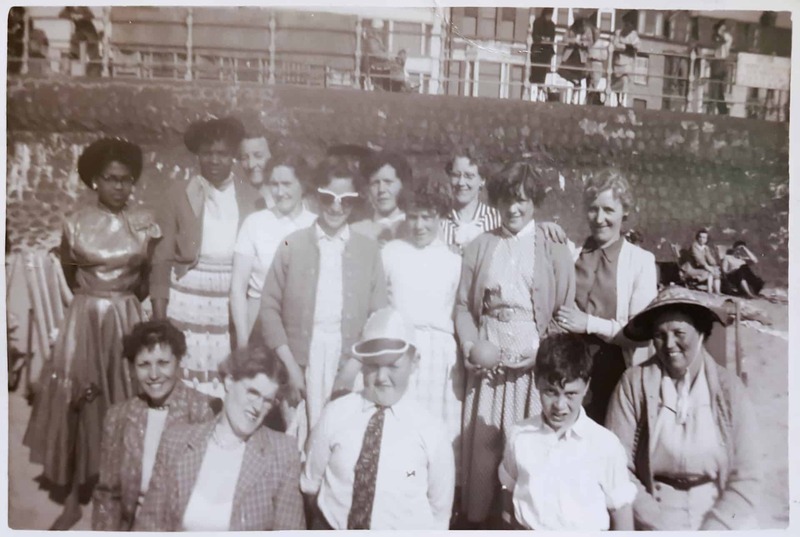 Herma is on the far left and she standing next to her older sister Linda. 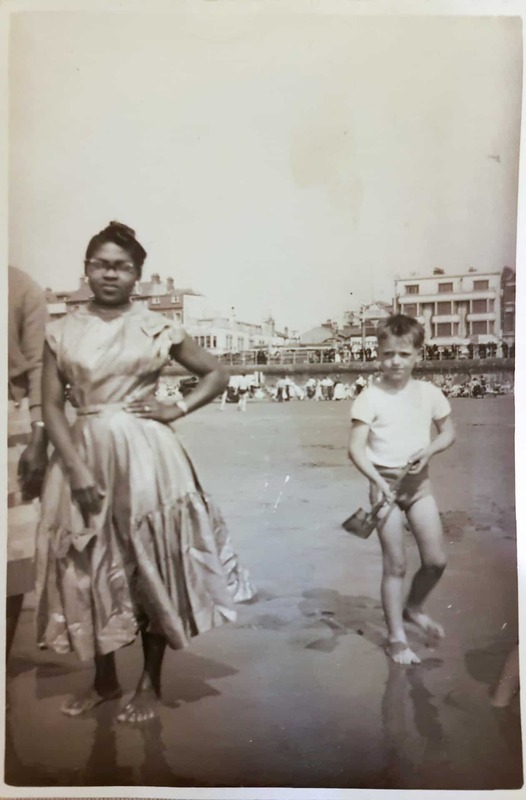 I can imagine it must have been very strange being a black person on the beach in Blackpool at that time! This was probably her best dress, mom really liked to be elegant, she was very conscious of her clothing. I remember growing up mom didn't like any of us going out showing off our selves. I remember in the 77 summer when it was boiling hot and she shouted at us because we had strappy little tops on. Well this photo, my mom looks elegant, sophisticated and just beautiful. She was 16 here. Black people always went to a studio in those days. One reason is they didn't have a camera. Going to a studio they would always get the best photo. If you went to black people's houses in the olden days they would have a studio photograph that were obviously taken in black and white and then tinted in colour. They used to send these pictures home to say ‘here I am, I have made it’. It's to make them look fantastic.